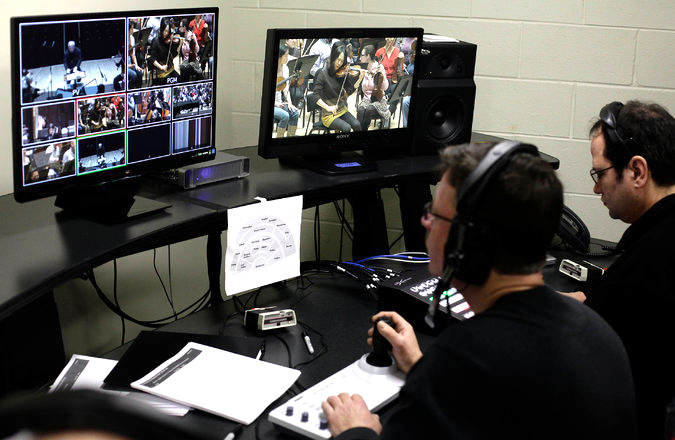 The Detroit Symphony has one of the most robust live-streaming programs of any performing arts organization, offered free. The Detroit Symphony Orchestra (DSO) was formed in 1887, making it the fourth oldest orchestra in the United States. Its downtown performances are presented at “The Max,” the restored Max M. Fisher Music Center which includes the renovated 1919 Orchestra Hall; The Music Box, a 450-seat flexible venue for smaller and non-traditional offerings; and the DSO’s Music Education Center where youth ensembles, classes, and lessons are offered. In the years before the Great Recession in 2008, Detroit and its auto industry weakened and Michigan’s economy suffered. Audiences bought fewer tickets. When combined with waning government and corporate support and rising costs, the results were significant and recurring deficits at the DSO. The Orchestra teetered on the brink of collapse. To right itself, management sought major concessions in musicians’ salaries and benefits and significant changes in work rules. A six-month strike followed in 2010-11. Among the contract changes proposed was the acquisition of media rights that would allow the DSO to pursue digital media projects more creatively and frequently. When the strike was eventually settled more than six months later, the DSO had secured an agreement that included expansive rights for web-casting and other digital media. Musicians and management then immediately pursued a major initiative to bring DSO concerts to online audiences. By the end of the 2012-13 season, the DSO had presented 50 live, free concert webcasts to an audience of some 400,000 people, archived many of the concerts for future viewing and listening (many on the DSO YouTube channel), and created digital downloads for audiences to retrieve and listen to concerts on their computers and mobile devices. #DSOLive Classroom Edition combines hosted footage and educational resources to bring the orchestra into the classroom. The DSO also created “DSO To Go,” a mobile app for iPhone and Android users. The app allows users to stream webcasts, listen to past concerts, view artists’ rosters and biographies, download digital albums, and purchase tickets directly through their mobile phones. The John L. and James S. Knight Foundation provided major support for these digital initiatives. More recently the DSO re-structured and re-launched its website, announced a full season of 2014-15 concert webcasts, and then initiated the ambitious Symphony in D project. Inviting audiences to respond to the question, “What does Detroit sound like?” Symphony in D was spearheaded by composer Tod Machover, and the final piece premiered on November 16, 2015, a collective effort. The work incorporated community creations, supported by two apps, and the website SymphonyinD.com. An updated version of the Constellation app enabled users to compose and contribute music from shared recordings.